Close your eyes. Lose your self in the immensity of the most beautiful landscapes of the Douro. The river embraces the lush green mountains of the land that the man still has not stepped. It is pure, calm nature. Is installed in a place of elegance with the best comfort. Now you can open your eyes! Welcome to the Quinta de Casaldronho Wine Hotel, a place where you will spend relaxing days of unparalleled enjoyment. 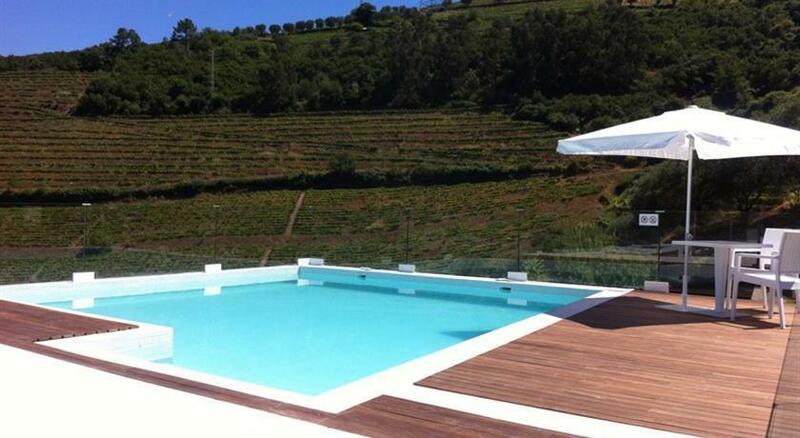 The Quinta de Casaldronho Wine Hotel is situated on the banks of the Douro River in Valdigem in the region of Lamego. It is distinguished by being a hotel that harmoniously combines the most avant-garde minimalism of contemporary design with the very essence of the typical elements of the area, as well as materials associated with the wine production, such as cork. It is a theme, warm and pleasant space where you can summon closely with the region's culture. All the decoration is an apology to wine, its production and tasting. The hotel has 20 rooms offering the best landscapes for the guests, with a highly motivated and professional team available with the concern that nothing fails to guarantee you the best experience. The outdoor pool boasts an artful maneuver architecture that places an odd place, a worthy setting of their presence. Being a Wine Hotel presents itself not only as a place to spend a vacation or weekend getaway away the hustle and bustle of the city, but also as a great option for holding different events, including business lunches or dinners or special celebrations, where you can sample the local wines, accompanied by typical regional food served in our restaurant. The hotel has 18 double rooms with private bathroom and 2 suites with privileged views over the Douro Valley, two of them being adapted for people with physical disabilities.